The Omnipure Q5754-C100E is a cation exchange softening cartridge which reduces hardness and scale deposits. 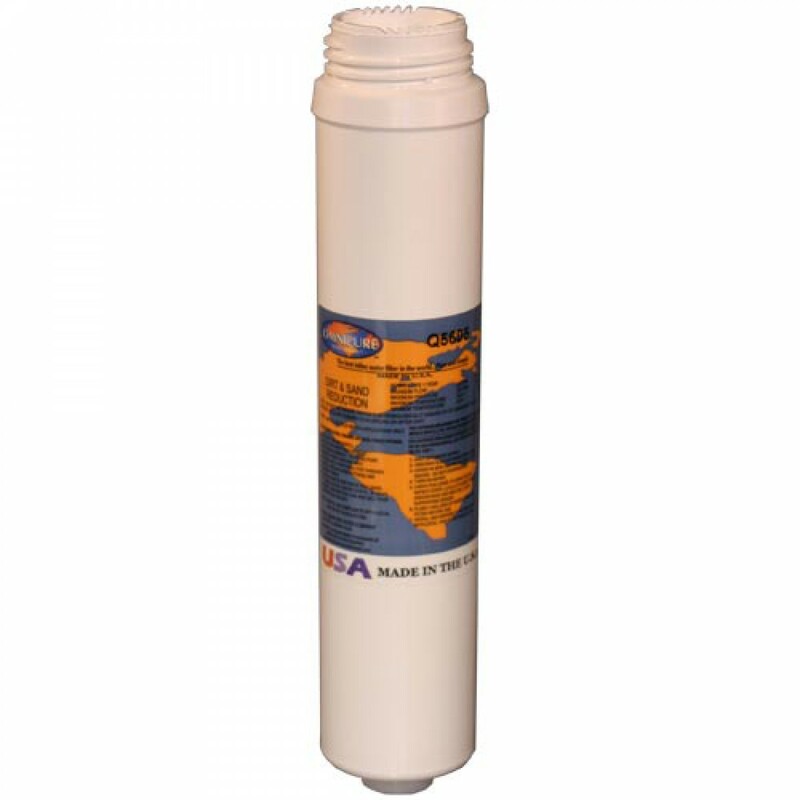 The Omnipure Q5754-C100E water filter is very user-friendly. The Omnipure Q5754-C100E water filter cartridges detach from a permanent head with a twist of the wrist. The new Q5754-C100E cartridge is just as easily threaded into the head and the replacement is then complete. The Omnipure Q5754-C100E uses C100E FDA grade softener resin. Omnipure Twist Tap filter heads QNVH B, C, or J, with or without automatic shutoff. If you do not have a head for the Omnipure Q-Series filters, you can purchase one of the Omnipure Q-Series heads below in the Related Products section. These heads are valved which means the water will automatically shut off when replacing the Q-Series water filter. The heads are available with 1/4" quick connect fittings, 1/4" NPT, or 3/8" NPT.